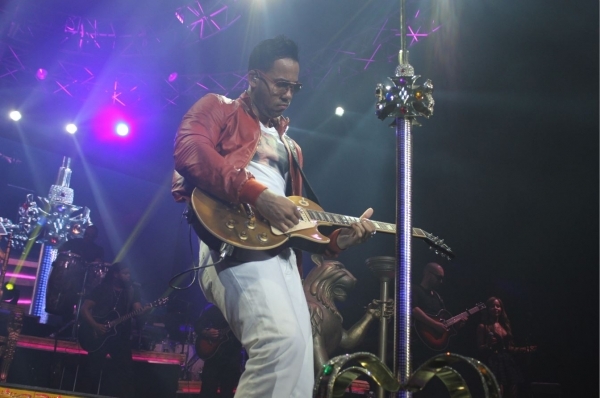 Latin Billboard Awards winning artist, Romeo Santos aka the 'King of Bachata' performed live at the Seminole Hard Rock Hotel & Casino in Hollywood, FL Friday 5/3/13. VIVE Katerin's photographer was on hard to snap some photos of Santos on stage. For those of you who don't know, Bachata is popular style of music that originated in the rural areas of the Dominican Republic. Although Romeo Santos was born in The Bronx, NY, he became enchanted with bachata as a child and began singing at age 12. He later went on to become the lead singer to bachata group Aventura. In 2001, Romeo set out on his own and released his first solo album, with single "You" that became a number one Latin hit. 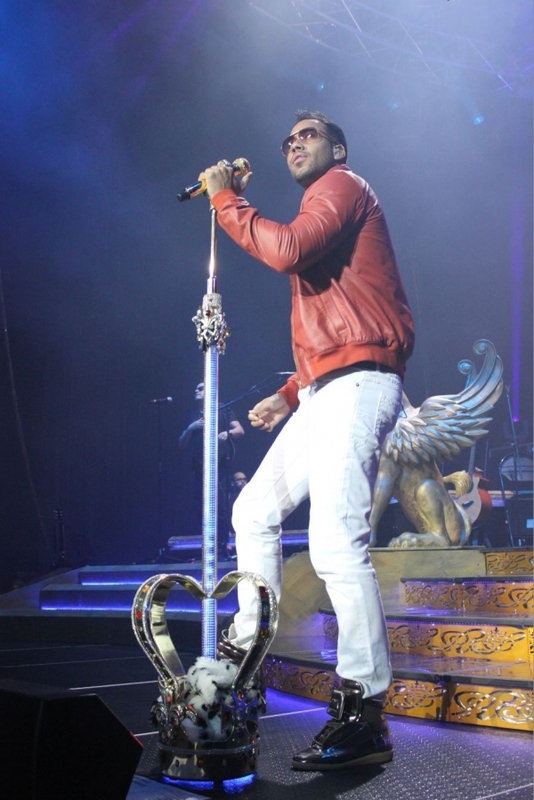 He has since released numerous albums to much success with hit singles such as "Llevame Contigo", "Mi Santa" and "Promise", which features a collaboration with R&B artist, Usher. 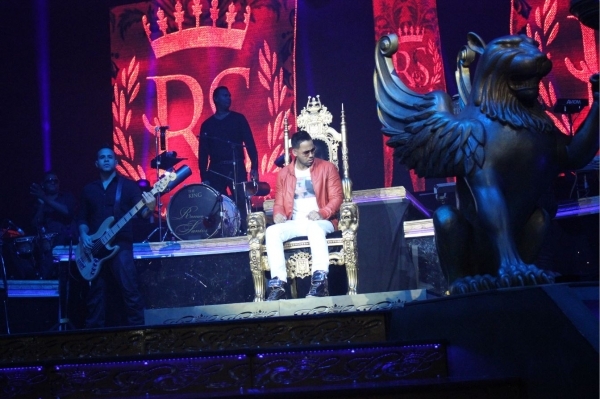 Santos, who just kicked off his latest North American tour in support of his latest album "The King Stays King - Sold Out at Madison Square Garden (Live)", arrived on stage on a giant throne and an over-sized crown adorned the stage. He opened with his first hit "You", followed by "La Diabla" and "Malevo" and played many more favorites.